Katie Ledecky has had a pretty memorable summer- four golds and a silver medal at the Rio Olympics, throwing out the first pitch at a Washington Nationals game, surprising her former high school with an assembly, hanging out with Bruce Springsteen after his concert at Nationals Park, and now hanging out with the Washington Redskins of the NFL. Ledecky posed for pictures and gave a motivational speech to the Redskin’s team. “I think swimming and football have a little bit of the same drive that’s needed, and you do a lot of things over and over in practice, both in the pool and on the field in football,” Ledecky told Redskins.com about her message to the Redskins. Ledecky discussed what drives her to succeed and how she sets goals for herself. The NFL still dwarfs almost every other professional sport in terms of fan attention, but this isn’t the first time an NFL franchise has looked to a swimmer for inspiration. Michael Phelps famously supports the Baltimore Ravens, and the team even showed one of his Olympic races live on the scoreboard during a preseason game. Phelps’ Ravens and Ledecky’s Redskins match up on October 9 in a game that now carries some bragging rights within the U.S. Olympic team. Ledecky set world records in the 400 and 800-meter freestyles at the 2016 Rio Olympics last month. She currently owns the world record in the 400, 800, and 1500-meter freestyles, as well as the 500, 1000, and 1650-yard freestyles. 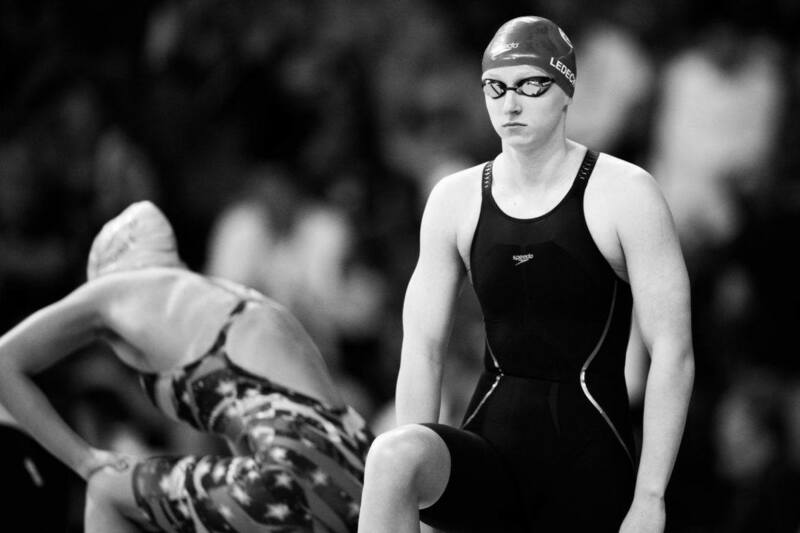 Ledecky will begin her freshman year at Stanford University this fall. Did it have to be the Washington Professional Football Team though.. I bet she can throw a baseball better than all the linemen. Diehard Redskin fan! Knock out the Steelers!